There is an endless swirl of Star Wars rumors, and one of the that a lot of folks put a great deal of stock in is that one of the standalone movies features a young Han Solo. 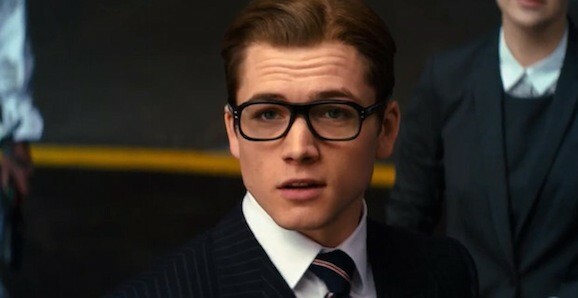 According to The Sun, a tabloid, so make of this what you will, one of the actors Lucasfilm is looking at to fill this iconic role is Kingsman: The Secret Service star Taron Egerton. In addition to their sources saying Egerton is in contention for the part, once linked to Aaron Paul, though the Breaking Bad star denied it, there are also some potential details about what the story looks like. This includes how Han winds up in possession of his beloved ship, the Millennium Falcon (does that mean there’s a young Lando? ), as well as how his relationship with Jabba the Hutt takes a nosedive. At this point, there has been a lot of talk about the spinoffs, but pretty much all we know for sure is that Gareth Edwards is directing the first one, which will come out in 2016, while Josh Trank will helm the second, set to drop in December 2018. Some reports say that Edwards film involves bounty hunters, a scheme to steal the plans to the Death Star that the Rebels use in A New Hope, and Han, but we have no idea how all those pieces fit together, or if any of the reports are actually true. I like Egerton. He’s great in Kingsman, playing a character with a chip on his shoulder, a devil-may-care swagger similar to Han, and some legitimate emotion underneath it all. He’s going to start popping up on more people’s radars, and rightly so. He was reportedly in the mix to play Cyclops in X-Men: Apocalypse, but is he the right fit to play a young Han Solo? Harrison Ford is so perfect in that part that it’s damn near impossible to imagine anyone else ever playing it. I don’t want a young Han Solo movie. Here’s and idea, don’t go and see it then!